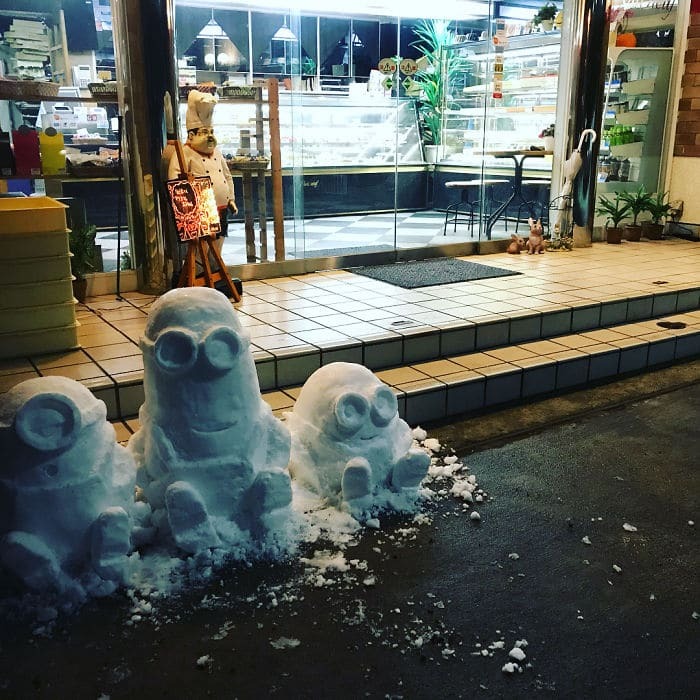 What to do in the face of such a situation? 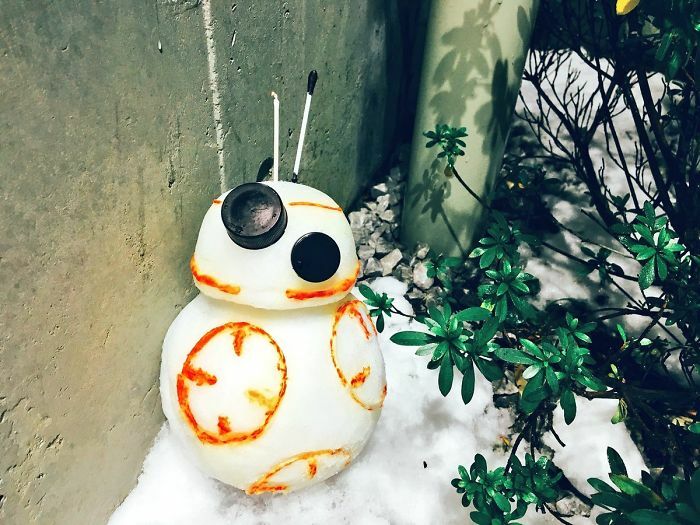 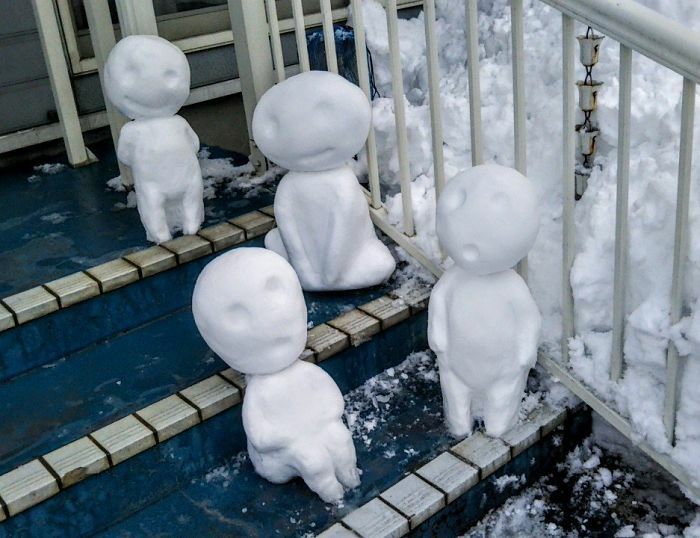 Make snowmen of course! 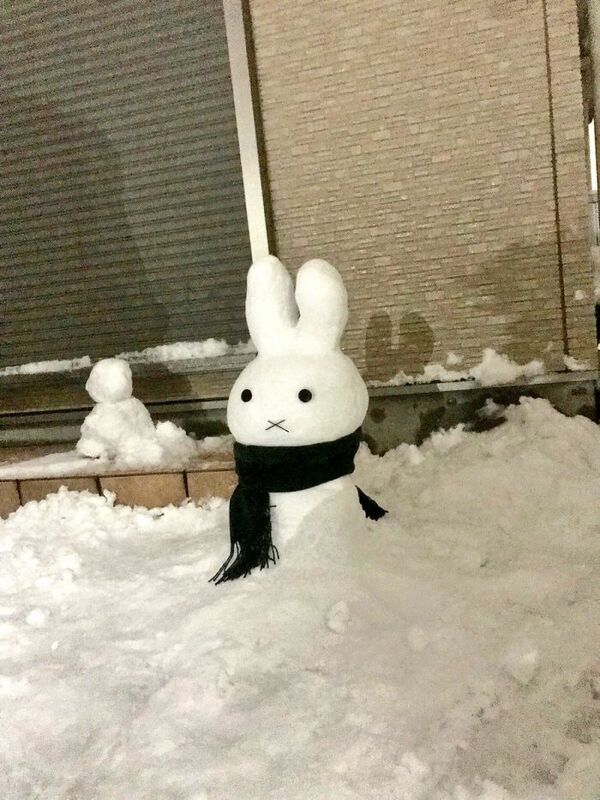 But wait, before you grab a carrot, some pebbles and a couple of sticks for arms, remember, this is Japan. 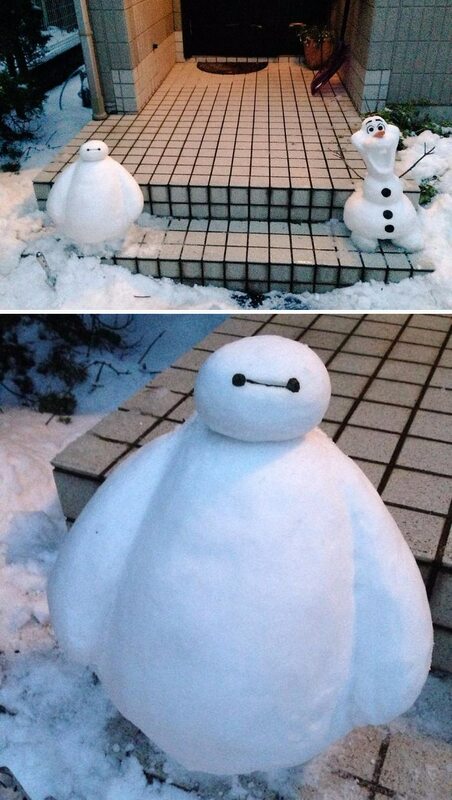 Your three-ball standard fat guy snowman ain’t gonna cut it here. 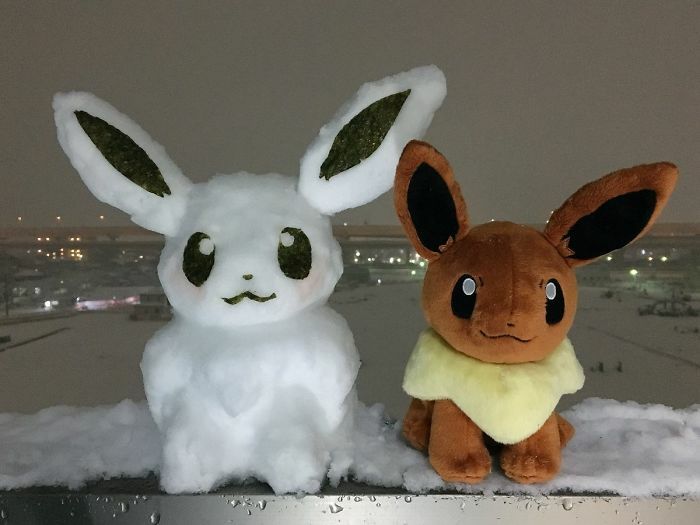 Downtown Tokyo saw its heaviest snowfall for years this Monday, causing travel chaos throughout the city. 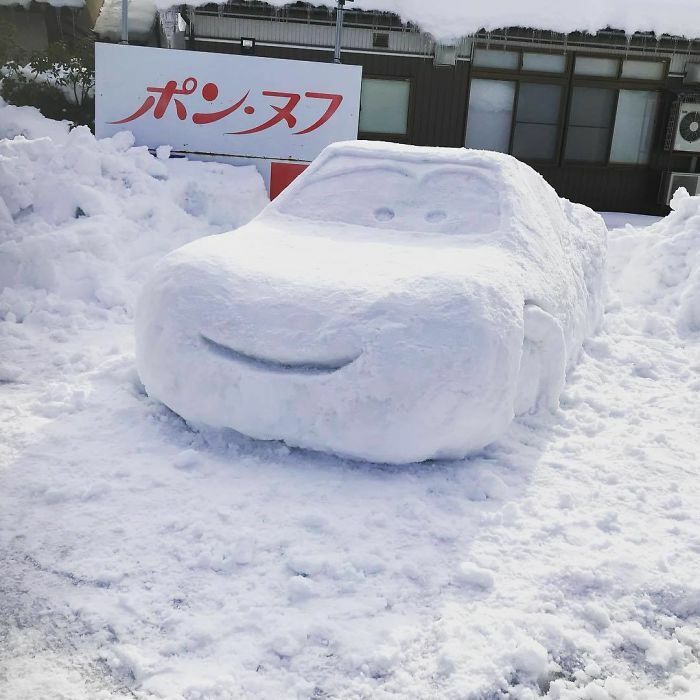 Cars were stranded and abandoned on roads, trains stopped running and people were left stuck at the airport as 250 international flights were cancelled. 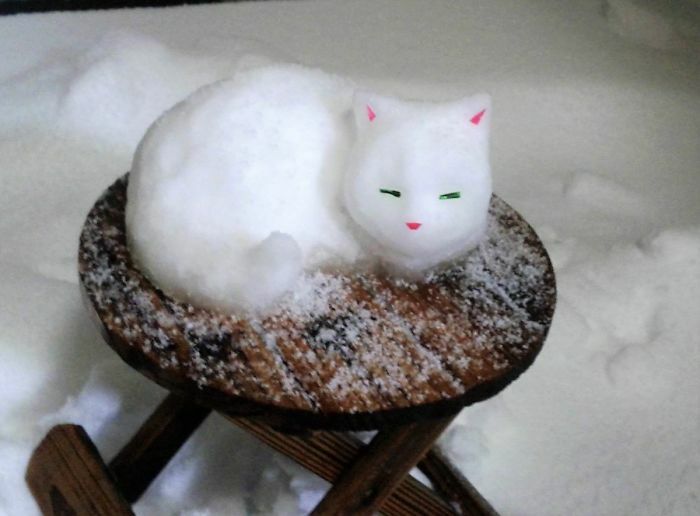 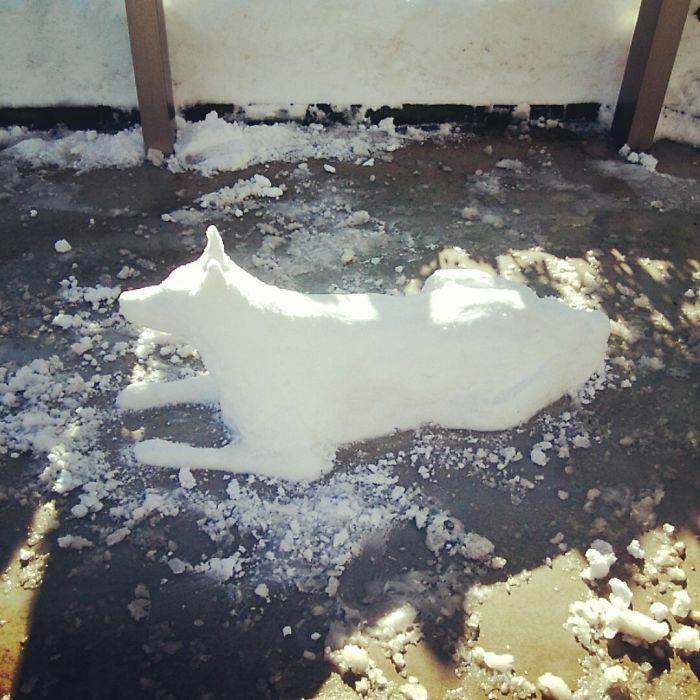 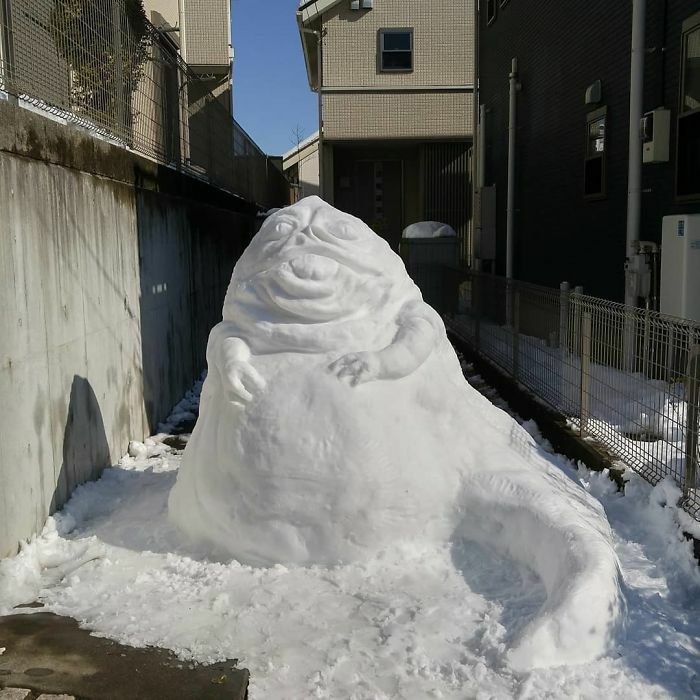 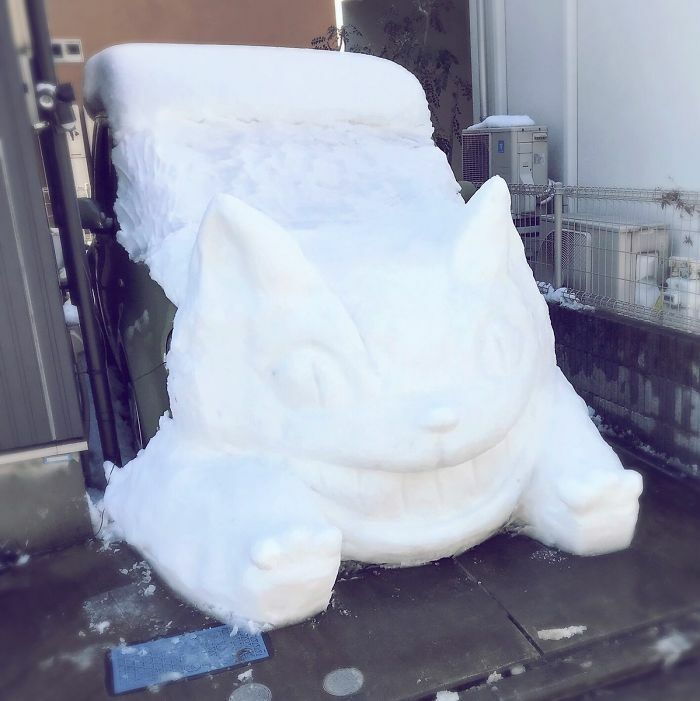 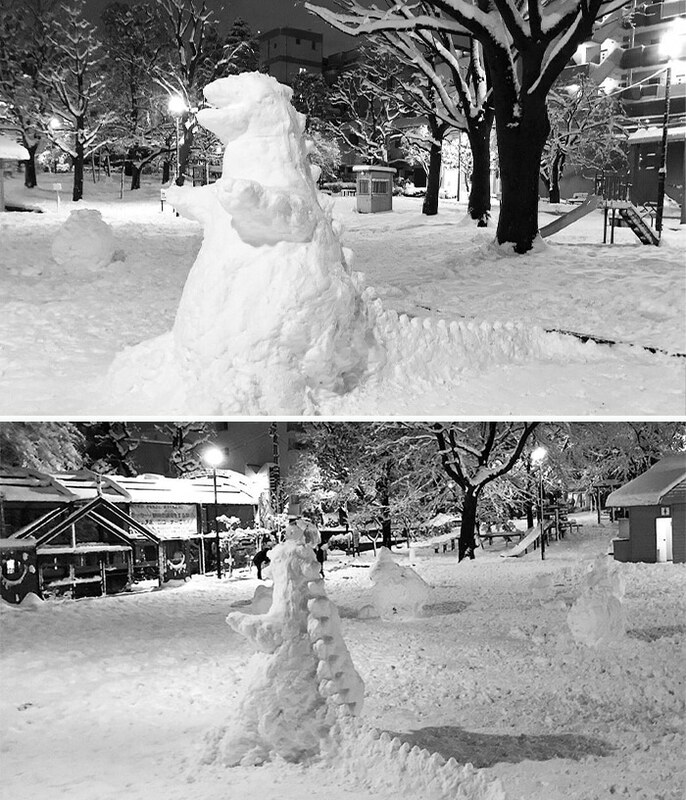 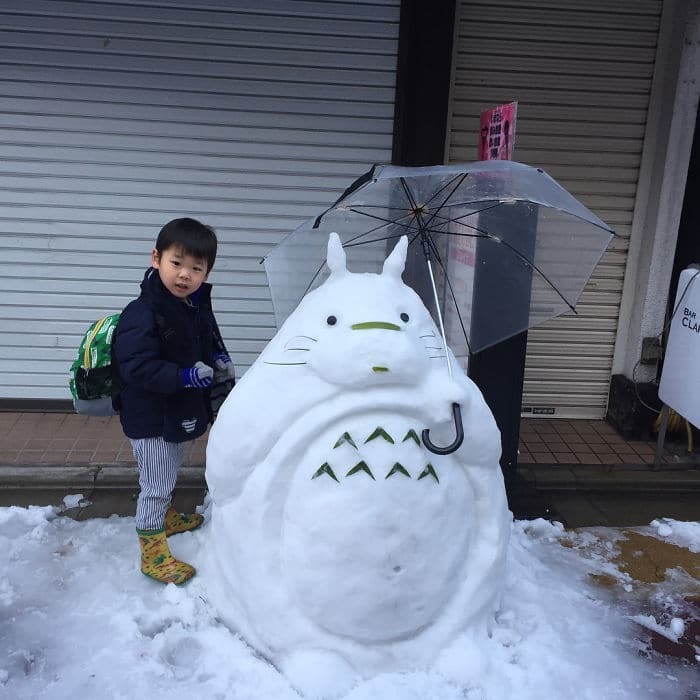 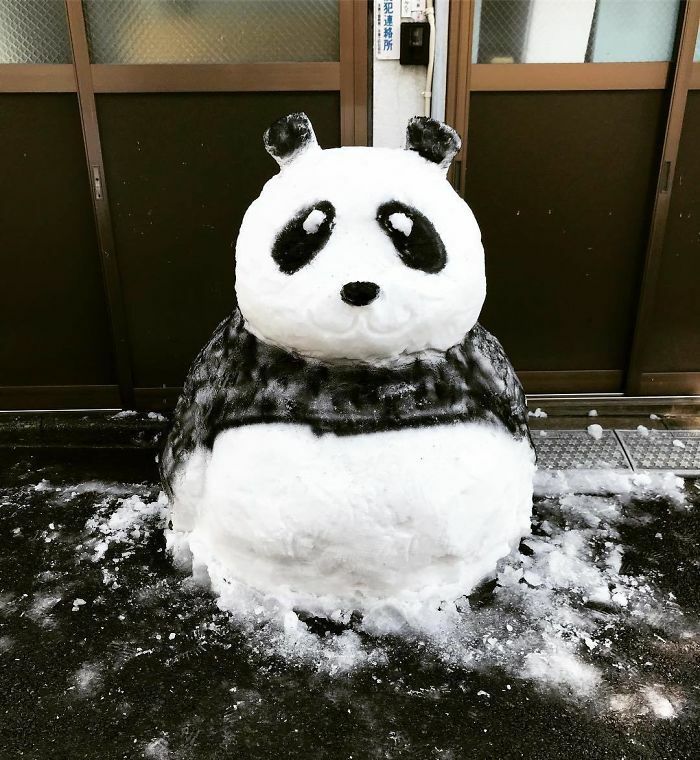 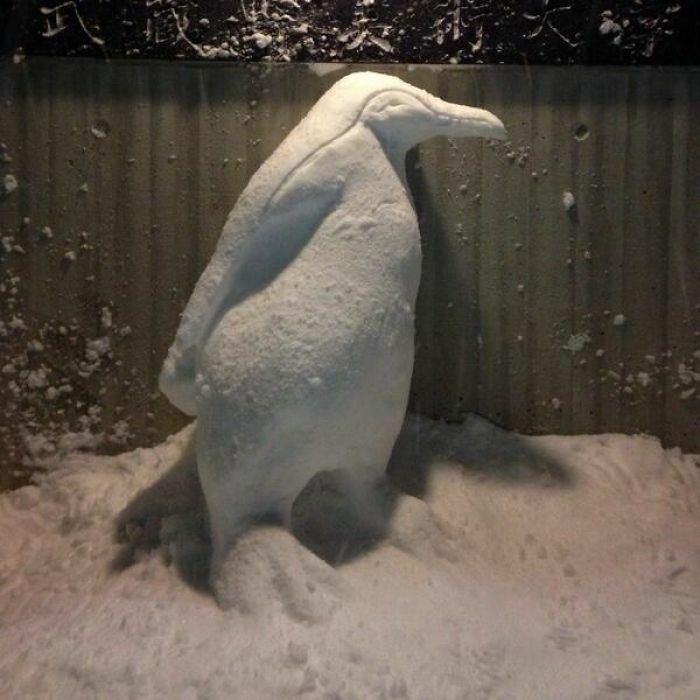 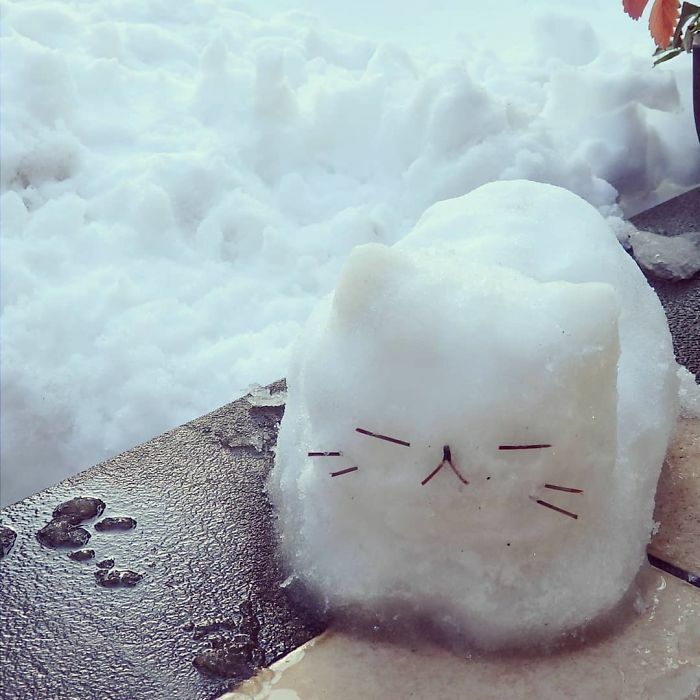 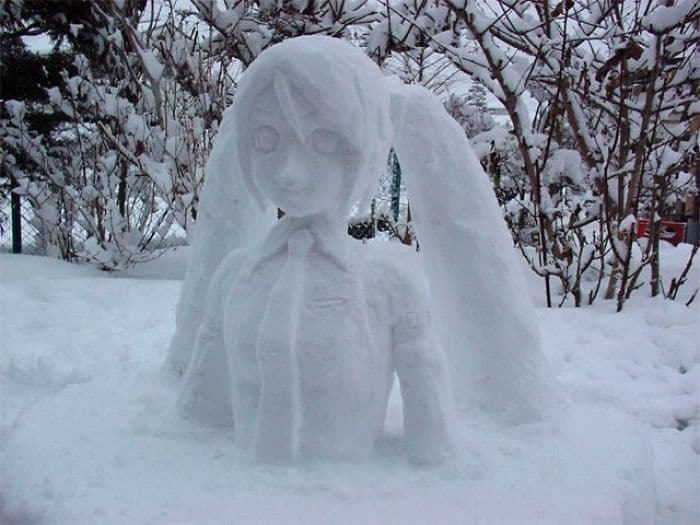 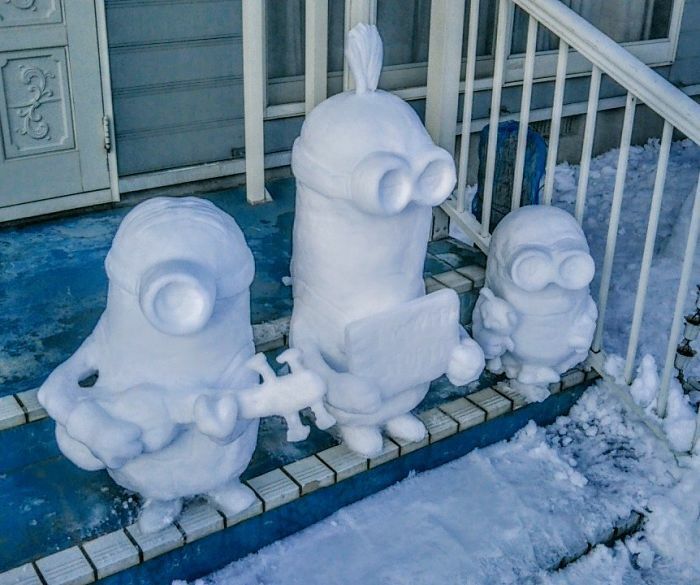 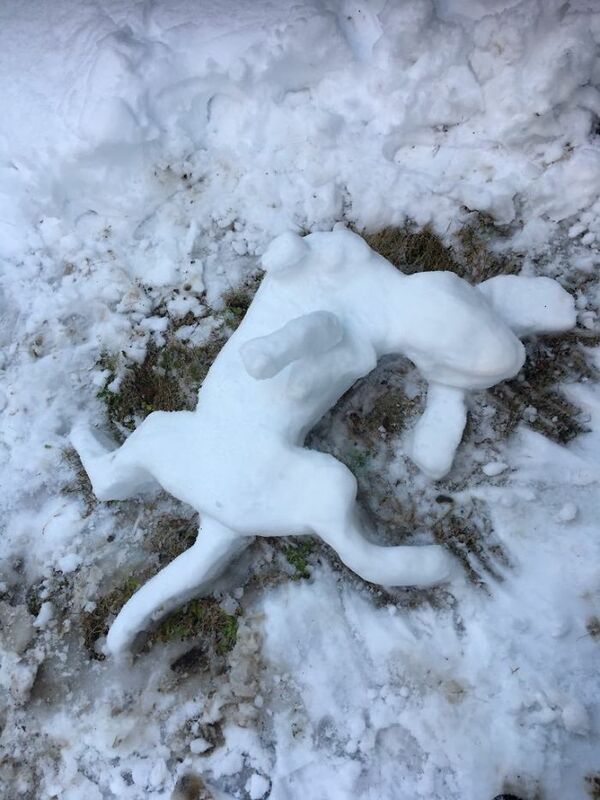 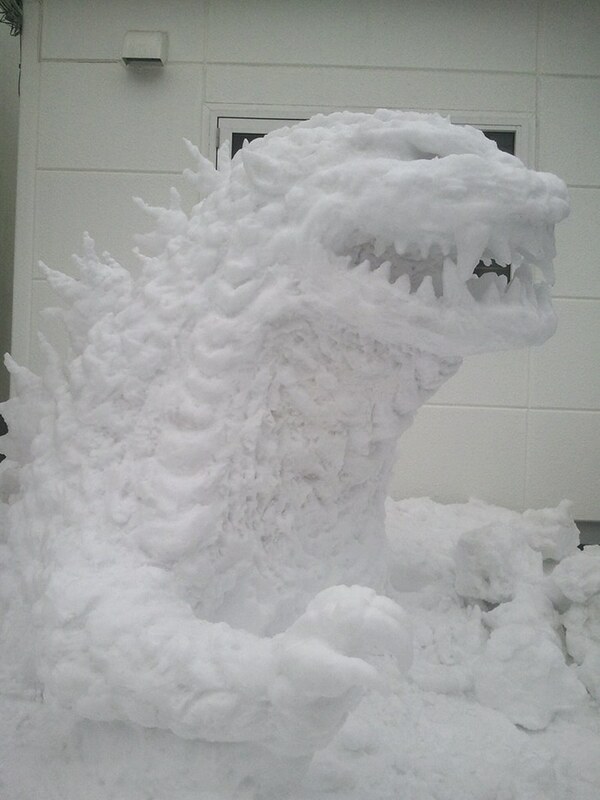 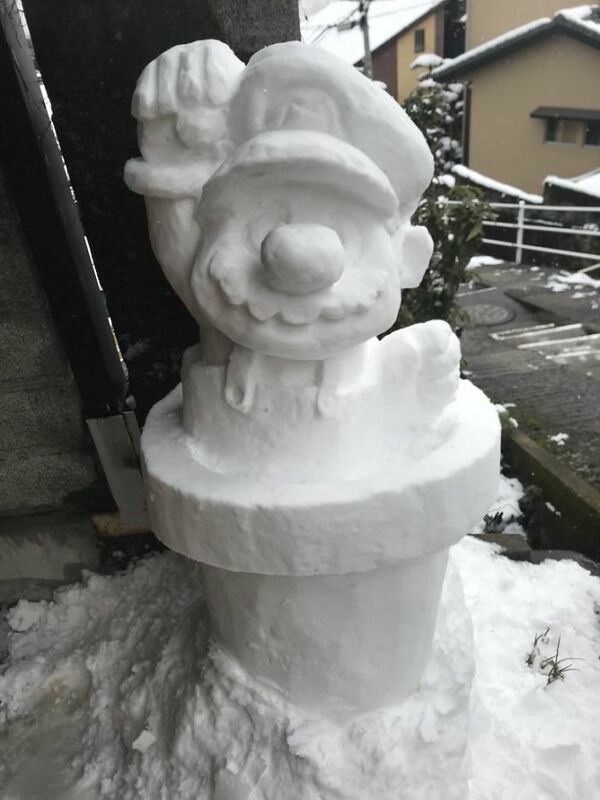 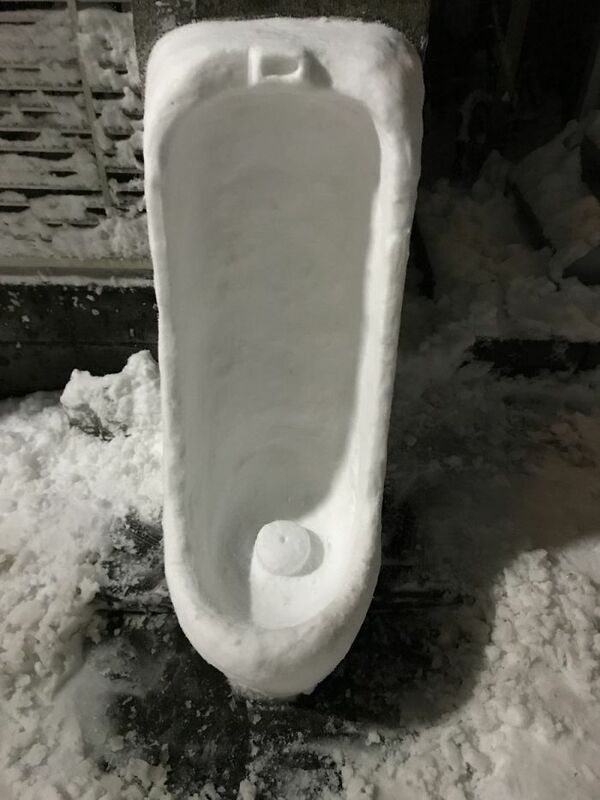 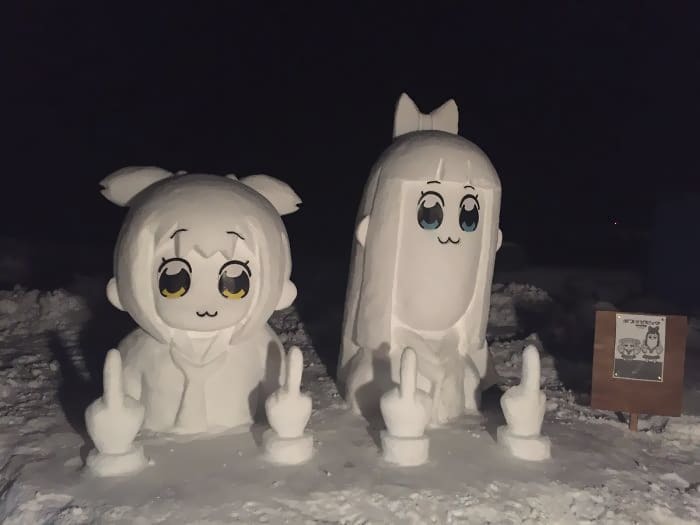 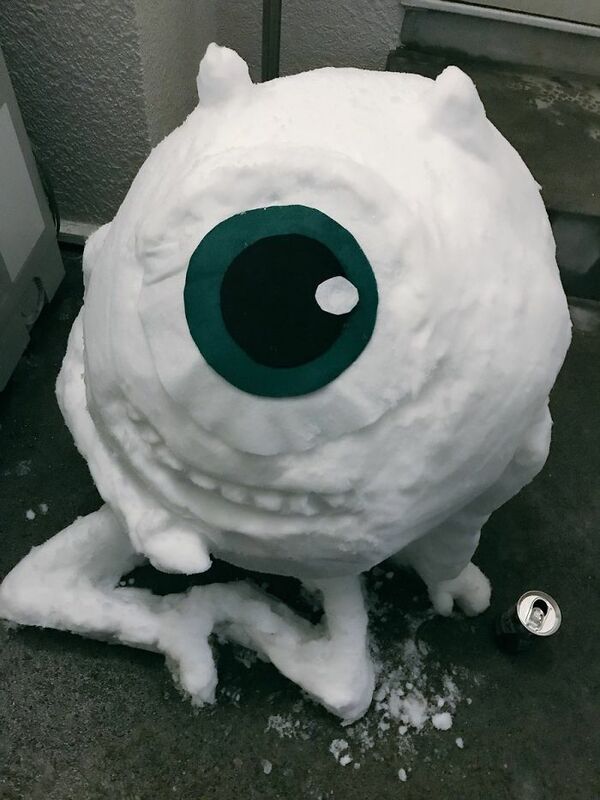 It appears the Japanese attitude to snow sculptures is much more developed than what we are used to in Europe and North America. 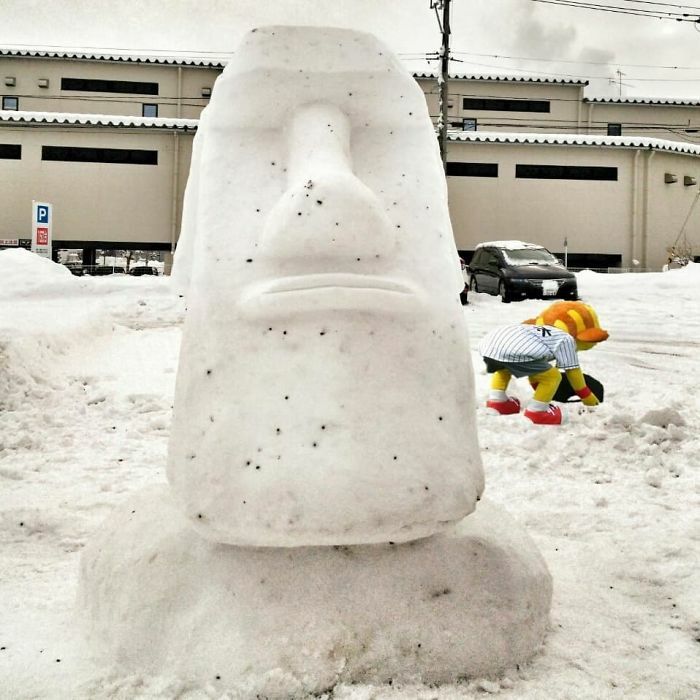 What else would you expect from the land that produces some of the most beautiful, creative and cool artworks and innovations in the world? 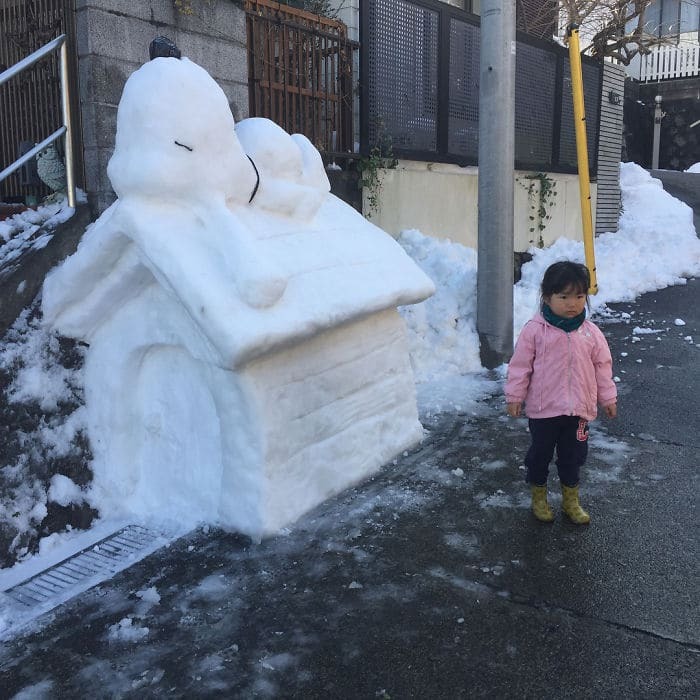 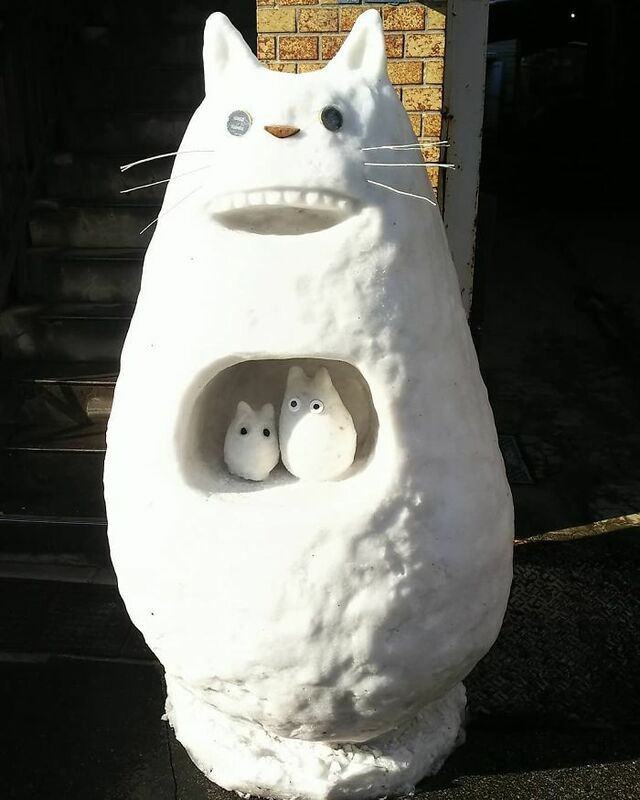 Tokyo is dotted with snow sculptures that will put a smile on your face, and put old carrot nose in your backyard to shame. 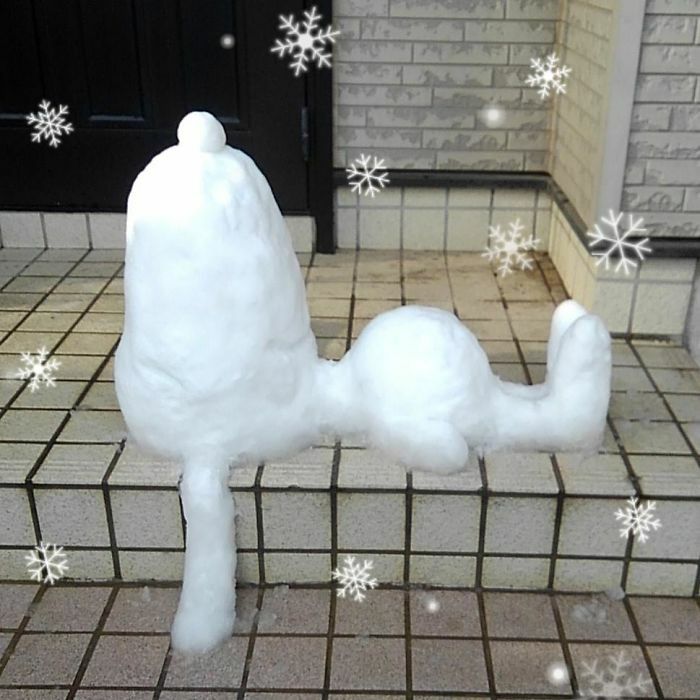 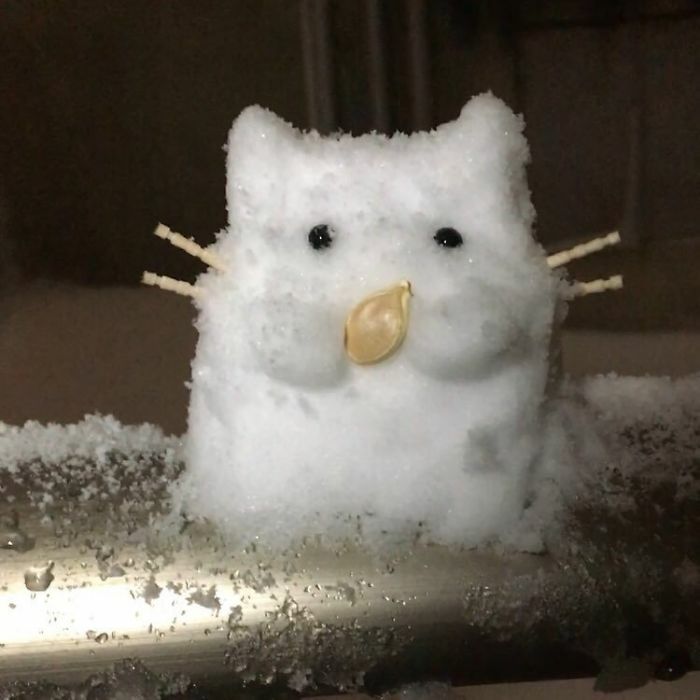 They are being shared on Twitter via the trending hashtag #雪だるま, and are proving to be wildly popular! 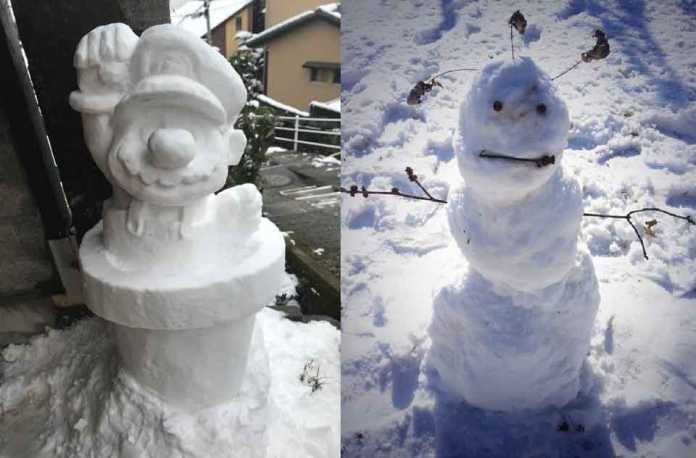 Scroll down to check out some of the best examples we could find. 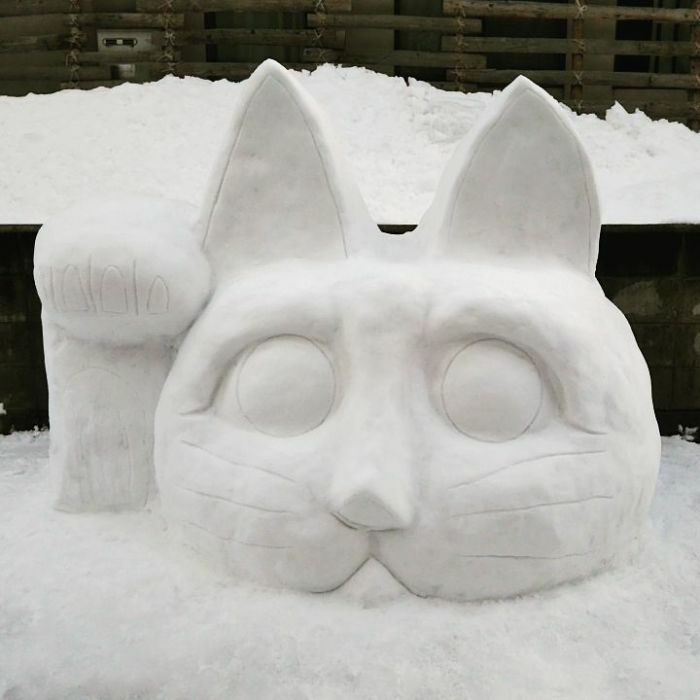 Don’t forget to vote for your favourite, and let us know what you think in the comments!